A kind of navigation system in the brain makes it possible to remember locations and travel routes. 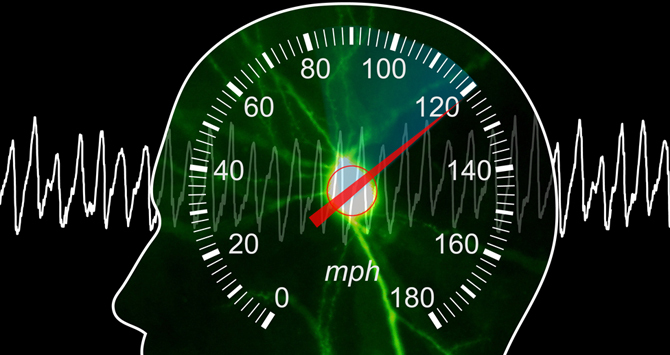 Now scientists have discovered a kind of speedometer that relays our speed to our navigation system. Overslept – oh darn! Now you have to rush through the morning routine: brush your teeth, get dressed and then dash to the bus stop. To the right down the street, past the neighbour who’s always got the radio on so loud, past the bakery on the left and then behind the bike shop to end up at the bus stop. We usually find our way without thinking about it too much. That we can keep our orientation and remember the way is actually thanks to our spatial memory in the hippocampus. There is a kind of navigation system here. It helps us find our position, to get from one location to another and remember routes and landmarks. The last Nobel Prize for Medicine went to three research scientists who discovered this internal navigation system. Remy and his colleagues were able to identify the respective brain region in mice, as reported in the current issue of the professional journal Neuron. “The medial septum consists of a few thousand cells and is directly connected to the hippocampus,” explains Remy. “It measures our running speed like a kind of speedometer, transmits the information to our spatial memory and literally sets the speed.” And this is important, so that the balancing of sensory perceptions – the loud radio, the smell of fresh bread and the display window at the bike shop – properly functions together with the spatial memory, even at high speeds of movement. “This study has advanced brain research in the field of spatial memory substantially,” says Andreas Draguhn, neuroscientist at the University of Heidelberg. “It answers the question, thus far unexplained, regarding how our spatial memory gauges and determines different velocities of locomotion.” And there is still another interesting discovery: The medial septum delivers the starting signal for the actual movement and even specifies the speed in advance. “Interestingly enough, our brain knows in advance when and how fast we are going to run to the bus stop,” explains Remy. 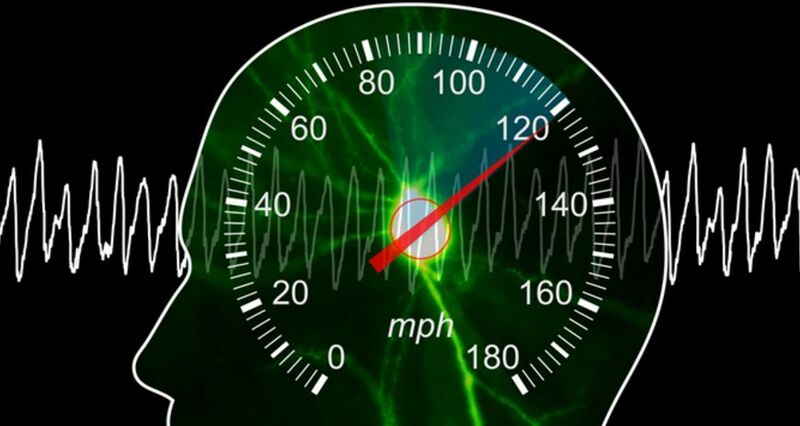 “The function in this brain region clearly surpasses that of a speedometer. It will most likely keep us on tenterhooks for a while when it comes to our future research.” But this time you made it – here comes the bus! Are laptops and smartphones making our memories shrink? Are we having more problems today with remembering things, or are we just using our grey cells for other activities?